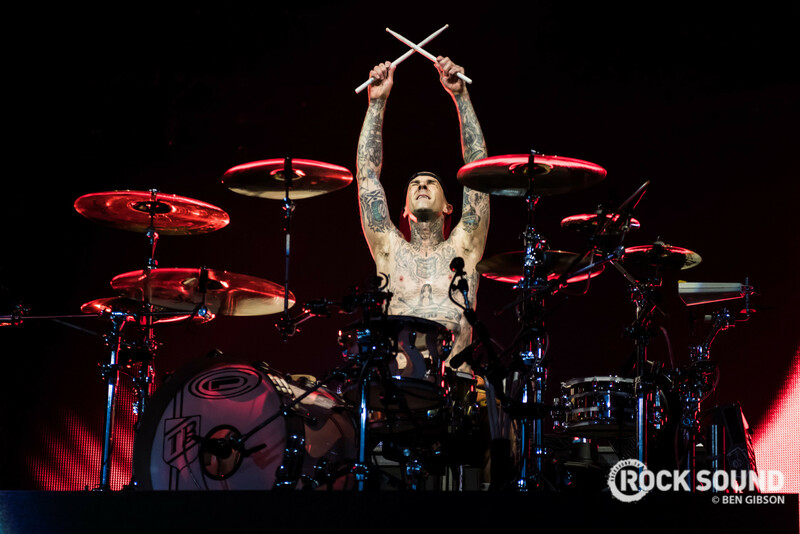 One of the most revered and celebrated drummers in the world, Travis Barker is a man of many talents. Today is Travis Barker's birthday! He may have forged a career through pop-punk but that hasn't stopped him featuring on some proper leftfield bangers- so today we're honouring Travis Barker by bringing attention to the songs you may not know he had a hand in. Seeing as their one of the most punk rock rap duos to break out in the last few years, it only makes sense that Travis played a part, albeit a small one, in Killer Mike and El-P's modern masterpiece. Yelawolf has always loved crossing over rap with rock when it comes to penning his bars. In this case, whisky soaked guitars are smothered all over Travis' signature beats to create a song that could incite circle pits as much as ham horns. A portrait of modern day rap with Travis providing them sweet hits. Atmospheric and emotional, we can all get behind the fact that heartbreak doesn't have a genre. We all remember where we were when From First To Last announced that they were releasing new music. Bet at the time you weren't thinking that the man behind those pummelling drums was Mr. Barker were you? If so, you're a liar. N.E.R.D's debut album is now considered a classic of the genre and we are sure that Travis is proud to have been a part of that. He even makes an appearance in the video for this sultry number. Jacoby Shaddix and the gang called on the expertise of Barker for a track on this '06 classic. To the surprise of absolutely no-one, it makes for an brilliantly impassioned combination. Travis actually hit the skins on 4 songs on Avril's third record, but this is by far the catchiest. Said it before and will say it again. 2007 was mental. Yep, even the queen of pop has enlisted Travis for some drum based goodness. This closer from her 2011 album 'Femme Fatale' has that extra bit of oomph, and it's all because of those beats in the background. Drifting into the realms of big room EDM, this neon splattered number features the vocal talents of none other than Patrick Stump too. A dream team if we ever saw one. One of Pip's most wonderful tracks builds and builds up to an anger filled conclusion, and a lot of that comes down to the brutal performance from our Travis. Spine-tingling stuff. Basically in 2018, if Travis Barker wants to work with you, you are a big deal. Step up Ghostmane who has Travis playing live drums on this slice of discomforting brilliance.